On January 26, 2018, at approximately 11:30 pm, Winnipegosis RCMP received multiple calls regarding a disturbance in the community. When police attended, they found two males on scene – one male was deceased. The 37-year-old male victim from Camperville, Manitoba died on scene. 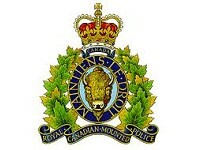 Police arrested the other male on scene, 25-year-old Spencer Sumner from Fairford, Manitoba. Sumner has been charged with Manslaughter and remains in custody. The RCMP Major Crime Unit and Forensic Identification Section are assisting with the ongoing investigation.